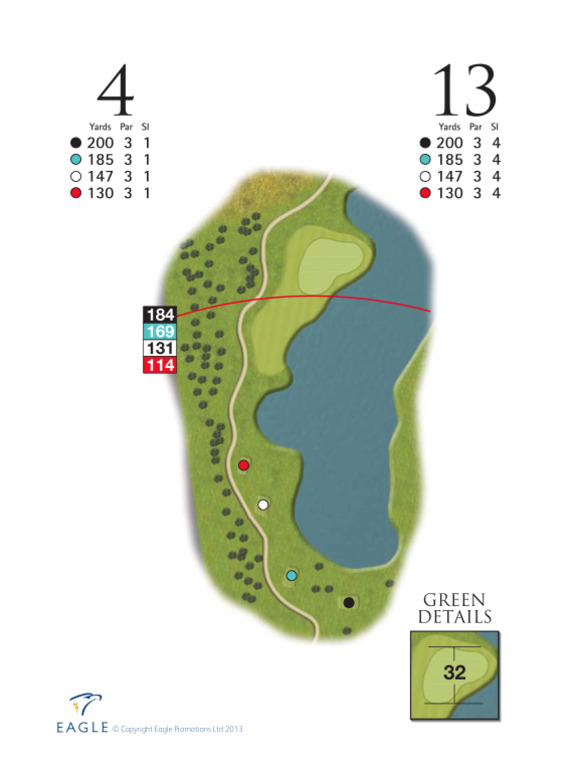 Without doubt the hardest hole on the course with the tee location set hard against the edge of the lake. The prevailing wind makes this hole play at least 2 clubs longer than you think and its carry all the way to the green. 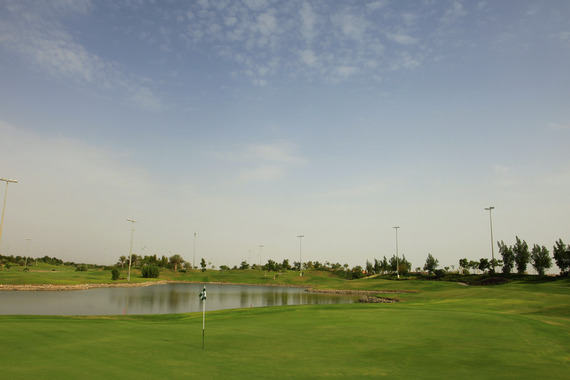 The smart play will see you aim your tee shot towards the left side of the green where a generous run off area will leave a simple chip back on to the green. The green itself is relatively flat so won’t present any major challenges to players putting skills. Be thankful for a par on this hole and move on.